Can scientists predict who will develop anxiety disorders years in advance? UCLA psychology professor Michelle Craske thinks so. She is four years into an eight-year study evaluating 650 students, who were 16 when the study began, to identify risk factors for the development of anxiety and depression — the most comprehensive study of its kind. Craske and her colleagues are finding that neuroticism — the tendency to experience negative emotions such as fear, anxiety, guilt, shame, sadness or anger — is a powerful predictor of both anxiety and depression. Newly published research from the long-term study highlights a potential mechanism by which neuroticism confers risk. The researchers report that teenagers who are high in neuroticism appear to become unnecessarily anxious in ways that are out of proportion with actual circumstances. As part of the study, the students were placed in front of computers and told that when the screen became red and said "Danger," they might receive as many as three small muscle shocks, each one stronger than the last. A countdown bar indicated when the shock was coming; as the bar counted down, the screen became redder. The students were also told that when the screen was green and said "Safe," they would receive no shock. All participants showed an elevated startle response when the threat of shock was most imminent, during the final countdown on the danger screens; this is the time at which the fear response is most imperative to survival. However, those teenagers high in neuroticism showed a stronger startle response under conditions when the shock was not imminent and, in particular, during sections of the safe screens and the early phase of the danger screens. Craske and her colleagues report their findings this month in the journal Biological Psychiatry. She hopes the study will reveal the risk factors that predict anxiety, versus depression, and which risk factors are common to both anxiety and depression. "Anxiety and depression often go hand in hand; we're trying to learn what factors place adolescents at risk for the development of anxiety and depression, what is common between anxiety and depression, and what is unique to each," Craske said. "We chose this age group because 16-to-19 is when anxiety and mood disorders tend to surge in prevalence." Some 25 percent of the U.S. population experience anxiety disorders over their lifetime; these disorders are about twice as common in women as men, Craske said. If those at risk can be identified in advance, perhaps they can be treated with an early intervention, reducing the risk for later anxiety problems. At the outset of the study, many of the teenagers were already experiencing depression and anxiety, more than Craske had expected. "We assumed most would not be currently anxious or depressed and we would see who develops disorders over time," she said. "We were surprised to see that more than 20 percent had a current or past anxiety disorder, and 30 percent had a current or past mood disorder at the start of the study. As a result, we switched from solely evaluating risk factors for the onset of anxiety and mood disorders to include evaluation of risk factors for the persistence of anxiety and depression over time. We want to assess for whom do these disorders become more severe over time and why." Every 12 months, the researchers conduct a comprehensive evaluation, and every six months, the adolescents complete self-report questionnaires. 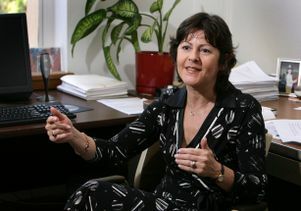 Craske is the study's principal investigator at UCLA, and UCLA psychology professor Constance Hammen is a co-investigator. The study is also being conducted at Northwestern University, where the principal investigators are psychology professors Richard Zinbarg and Susan Mineka. Co-authors on the new research include Edward Ornitz, professor of psychiatry and biobehavioral sciences at the Semel Institute for Neuroscience and Human Behavior at UCLA, and Bruce Naliboff, also of the Semel Institute and co-director of the UCLA–Veterans Affairs Center for Neurobiology of Stress. The longitudinal study marks the first time physiological, cognitive and personality measures, along with life stressors, have been analyzed together, Craske said. Participants in the study attended a Los Angeles school and a school in Evanston, Ill.; to preserve confidentiality, the researchers are not identifying the schools. The students are now 20 and reside in various areas throughout the U.S. The study is federally funded by the National Institute of Mental Health, the world's largest scientific organization dedicated to research focused on the understanding, treatment and prevention of mental disorders and the promotion of mental health. Anxiety disorders, including panic disorder and post-traumatic stress syndrome, are chronic conditions that tend to persist if untreated. "Once fear develops, it becomes self-perpetuating," Craske said. Craske, with her colleagues Ornitz and Naliboff, as well as Lindsey Bergman, associate director of the UCLA Childhood OCD, Anxiety, and Tics Disorders Program, has recently completed a second study, also funded by the NIMH, of 7-to-12-year-olds. Some were anxious, some were not anxious but had anxious parents, and in some cases, neither the children nor the parents were anxious (Craske said this third group was surprisingly hard to find). Sixty-five children participated in the study. The results were recently published in the journal Behaviour Research and Therapy. Research has shown that children with anxious parents are about 3.5 times more at risk for anxiety than those whose parents are not anxious. Craske is studying whether the children with anxious parents are showing early signs of underlying mechanisms for anxiety. "In the presence of a mildly threatening experience, do they learn to become afraid more quickly and more strongly than someone else?" she asked. "Do they hold on to those fears for longer?" 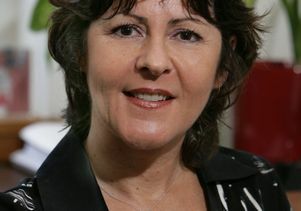 Craske and her colleagues have developed treatments for anxiety disorders in adults, including a computer-assisted form of cognitive behavioral therapy, which helps people to change their anxious behaviors and anxious appraisals. She has a third NIMH-funded study, of more than 1,000 patients at primary care clinics near four sites — UCLA, UC San Diego, the University of Washington, and the University of Arkansas — who have an anxiety disorder. Patients learn skills to reduce fear and anxiety by confronting their fears and learning to reappraise situations so they are no longer judged to be dangerous. Craske is also beginning a major new study funded by the NIMH in which she and her colleagues are comparing two behavioral treatments for social anxiety disorder, including an assessment of brain functioning before and after treatment. She is recruiting patients with social anxiety to participate in the study. For more information, please call 310-206-9191. Craske, who is Australian, joined UCLA's faculty in 1990.